I was christmas shopping today at Cameron Village and I wanted to get my eyebrows done. So I stopped into this hair salon and asked if they could fit me in. They were SO nice and I only waited about 10 minutes which was awesome. 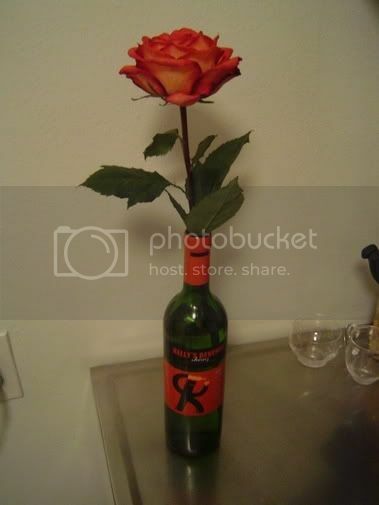 But then, as I was leaving, the lady was like, would you like a rose? And I said, what? And she reached behind her into this beautiful vase and pulled out the most perfect rose I have ever seen and said, here you go, thanks for coming in! That’s so awesome. I love things like that!